When Holly’s sister Mia announces she’s getting married, the family are over the moon. 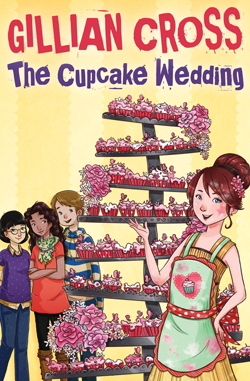 But the couple are very young and decide that the wedding will have to be done on a budget – which means no cake! Holly can’t imagine a wedding without a cake and she plans to surprise her sister with a tower of cupcakes, she just has to convince her friends to help her first. But when the bride and groom get cold feet, Holly has more than a cake to worry about!